Large whistle with adjustable finger grip and tapered mouthpiece, low pitch, includes a gator grip mouth guard and cushion grips. Good for many coaches, especially for swim coaches. Has been used by asthmatics. 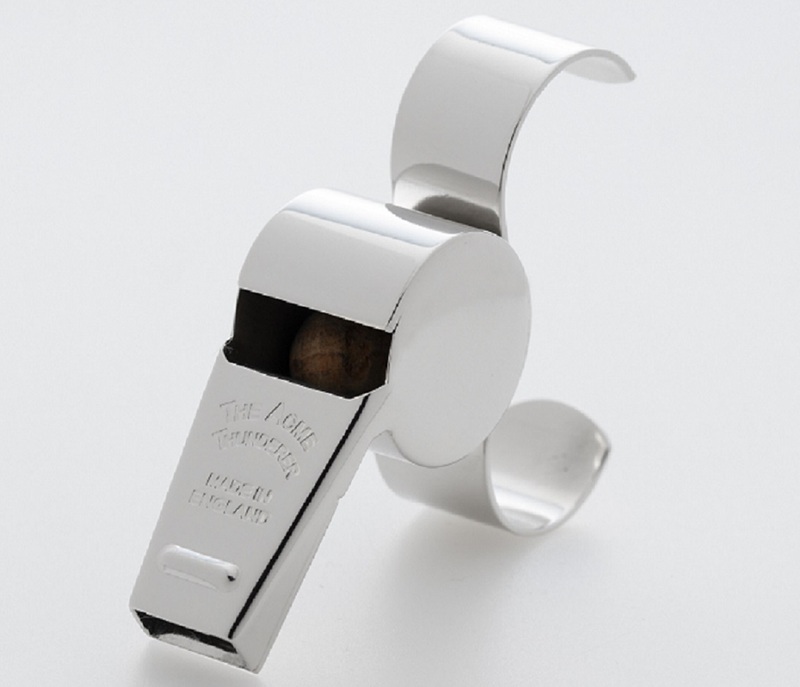 Official whistle of the CHL (Canadian Hockey League). This one doesn't have the Canadian Leaf logo, but we do carry that one too.